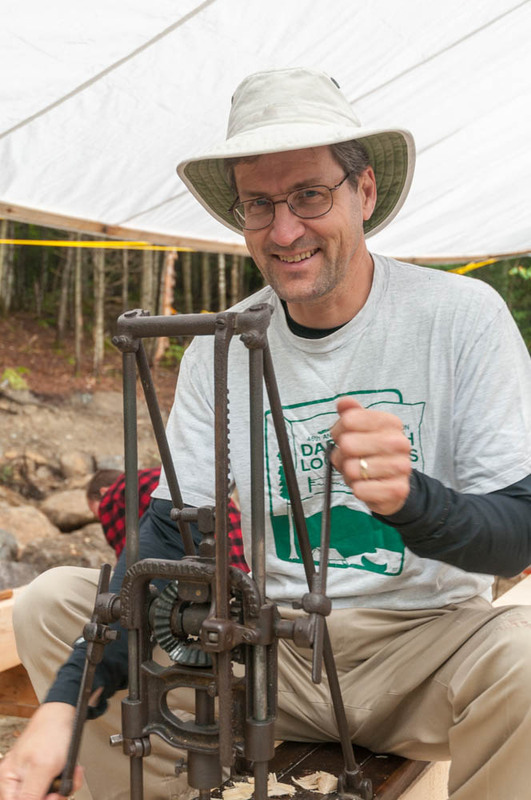 Using an antique boring machine to drill mortises in one of the king posts. 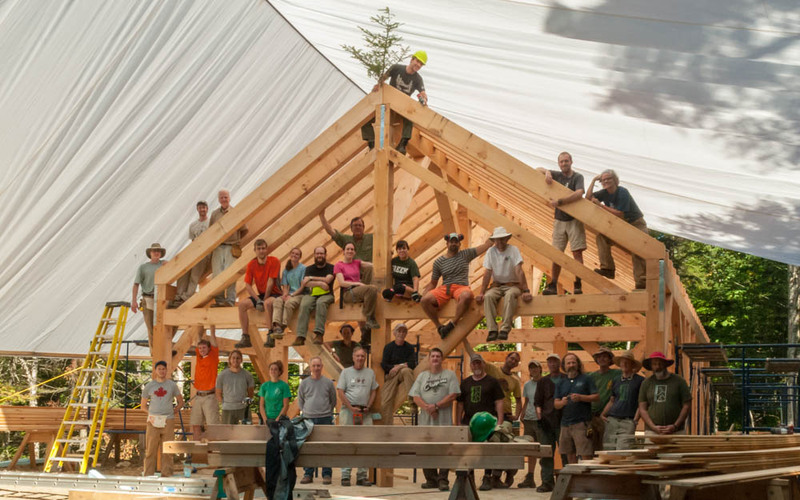 I spent six beautiful days at Moosilauke Ravine Lodge with a team of wonderful chubbers & friends who were there for the timber-framing workshop hosted by Dave Hooke ’84 and his TimberHomes crew. In the span of six days we learned how to lay out, cut, and raise timber posts, bents, braces, struts, and all manner of heavy wooden contraptions. Amazing that Dave et al. actually entrusted us with a variety of sharp tools and valuable timbers! We were guided by a team of excellent instructors, and managed to put up the main part of the frame (porches to be added later) and lay down the first course of roofing. It looks like a bunkhouse! It is located in a new clearing beyond Bicentennial and behind the ’74 Bunkhouse. Thanks to the Class of ’66 for their generous donation, to the Lodge Crew for the amazing food, and to Dave, Josh, Skip, Shannon, Andrew, and Helen for their outstanding instruction. Check out the photo gallery and the timelapse video.